In this paper we propose a non-clausal representational formalism (of definite formulas) that retains the syntactic flavor and algorithmic advantages of Horn clauses. The notion of a definite formula is generic in the sense that it is available to any logical calculus. 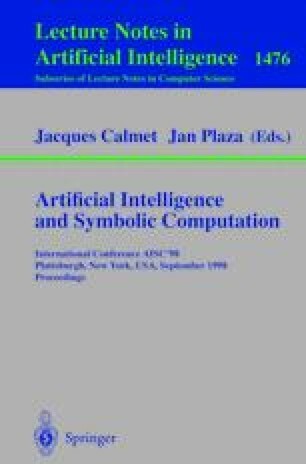 We argue that efficient automated reasoning techniques which utilize definite formula representation of knowledge (such as SLD-resolution) can be developed for classical and a variety of non-classical logics. Research supported by a grant from the Natural Sciences and Engineering Research Council of Canada.